Over the past few months a lot of changes have been happening in the online digital world which directly impact your business presence and the effectiveness of your online presence. Kazooky are committed to supporting all of our client family and to this end we will be producing a periodical news update to better serve your needs. Our clients constantly ask us about new emerging online tactics. In direct response Kazooky aims to inform you on key additions to the digital media map which you should either know about or incorporate as part of your next phase plans. You may not know Google have added your site being mobile ready as a crucial criterion of their algorithm Search Rankings. Whilst this has been in place for a few months now it’s worth checking your site conforms. All Kazooky website dev clients will have this but others may need a quick Free health check just to make 100% sure. Google+ Reviews Improve Your Google Map Rankings. Google+ Reviews Improve Your Business Presence in Google Search Results. Did you know that five good reviews on your Google+ page will give you yellow stars even if you are not ranking in the top position? That’s powerful! Think about it – which business would you click on? Be EMPOWERED digitally – learn more on marketing your business online. One of the biggest causes of digital marketing frustration is the lack of basic understanding of starting a digital media online presence. Everyone has 000’s of ways they do things better than the 0000’s of opinions on the www. Whilst Kazooky believe certain skills should be left to the experts, our clients should understand and possess a basic understanding of online digital tactics. Kazooky have found a very effective entry level tutorial we would like to share with you. It covers all the important elements and considerations of setting up a website and online presence. 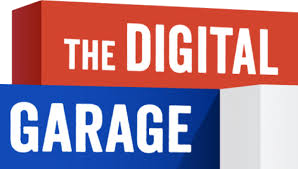 It’s called The “Digital Garage” and while being developed by Google, it is nevertheless a very general and unbiased distance learning tool. The last quarter 2015 has seen Kazooky successfully launch the Kazooky Buzz (Landing) Page (KBP) solution to great responses from the market. Whilst it would not be appropriate for all tactics it is an extremely powerful Lead generation and conversion tool. Our KBP is essentially a one page website that can be created within days and produces a very power online campaign for specific needs. Once a Client always a Client: If you ever need to chat over anything we have raised or have other questions please feel free to contact us either by phone, e-mail or leave a request on our website. Wishing you the very best of good fortune with your business website tactics.